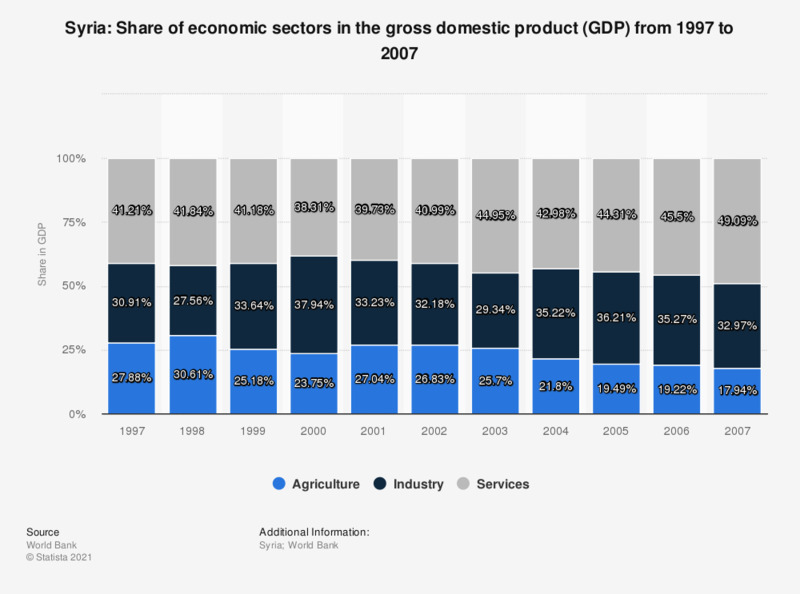 This statistic shows the share of economic sectors in the gross domestic product (GDP) in Syria from 1997 to 2007. In 2007, the share of agriculture in Syria's gross domestic product was around 18 percent, industry contributed approximately 33 percent and the services sector contributed about 49 percent. Do you support or oppose the British military launching air strikes on Syria in response to the recent events in Paris?